Juana Matias said she planned to run on behalf of working people in the Third Congressional District. 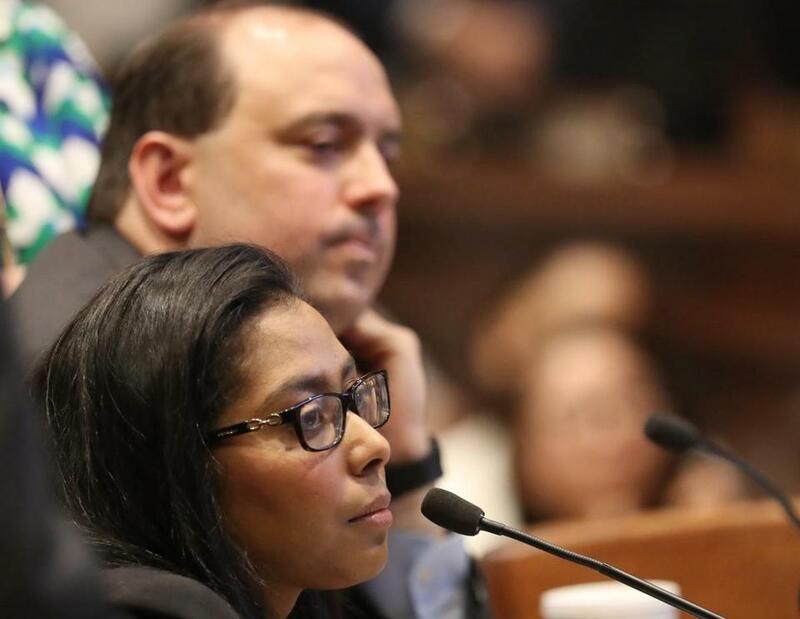 State representative Juana Matias, one of the first Latinas elected to the state Legislature, is running for the congressional seat that US Representative Niki Tsongas will relinquish next year, she said Wednesday. Calling herself “Donald Trump’s worst nightmare,” the Dominican immigrant and Lawrence resident said she planned to run on behalf of working people in the Third Congressional District. “I’m running for Congress because I believe that working people aren’t getting their fair share, and that the American dream is slipping out of reach for too many American families,” Matias, a Democrat, said in a telephone interview. Matias, 30, who last year unseated a veteran House member and longtime Lawrence political figure, argued that she would bring a unique perspective to the race. She joins a still-fluid field of candidates. Republican Rick Green formalized his bid this week. On the Democratic side, those either already running or considering a bid include: state Senators Barbara L’Italien and Eileen Donoghue, Cambridge City Councilor Nadeem Mazen, former Marty Meehan congressional chief of staff Lori A. Trahan, and former Boston City Hall chief of staff Dan Koh. Matias said her parents brought her to the United States in the late 1980s, working low-income jobs while raising their children. Her father worked at Polartec in Lawrence, and her mother worked at a metal finishing company, making precision pieces for airplanes. “They saved up money, and they opened up a small business in Haverhill,” a multiservice agency that helped send money to Latin American countries and connected people with flights. She graduated from Haverhill public schools and from the University of Massachusetts Boston with a degree in political science and criminal justice. Moving to Lawrence, she was a social worker with children before receiving her law degree from Suffolk Law School. She then worked as an attorney at justice AmeriCorps, representing children younger than 15 in deportation proceedings, she said. Matias’s ties to the state’s political establishment don’t run as deep as many of her opponents’ do. She said she anticipated encountering the same type of blowback she received when she unseated fellow Democrat and former state representative Marcos A. Devers last year. “People told me that it wasn’t my turn and that I needed to wait in line, but I believed the challenges were too important,” Matias said. “At a time when Washington is filled with politicians who are more concerned with promoting themselves than serving their communities, Juana’s a proven leader who represents real change,” she said.